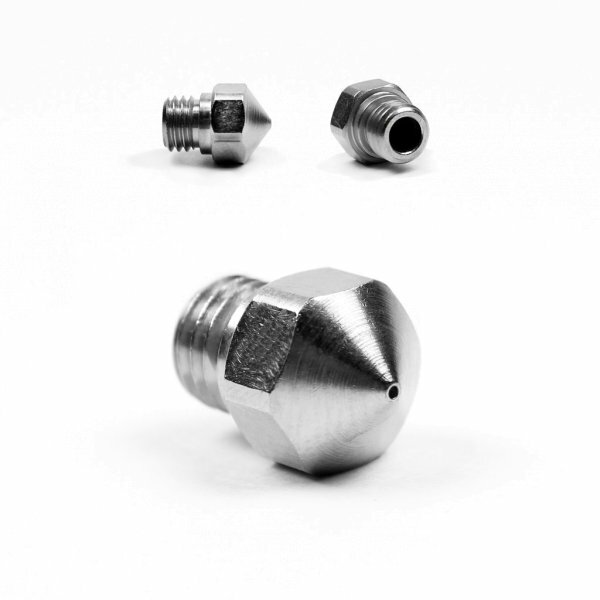 Produktinformationen "MK10 Plated Wear Resistant Nozzle for PTFE lined hotend"
This is MK10 style nozzle, it is made from a 360 brass base material and plated with TwinClad XT coating. 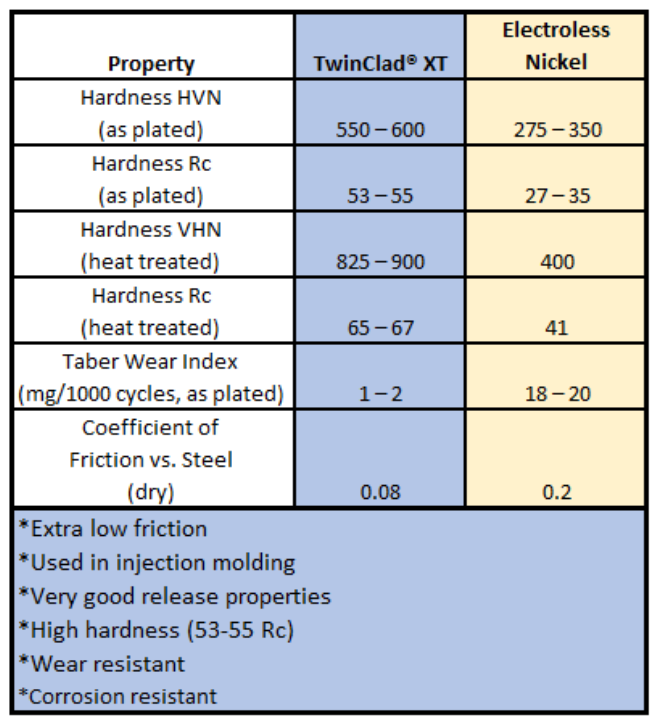 TwinClad XT is a nickel composite coating designed for very low friction. It offers one of the lowest coefficient of friction, better then nickel with PTFE codeposit. This coating is also very hard and abrasion resistant. If you are working with abrasive Carbon Fiber, Stainless Steel, wood filled or any other metal filled filaments, this will greatly improve the life of your nozzle. Weiterführende Links zu "MK10 Plated Wear Resistant Nozzle for PTFE lined hotend"
Kundenbewertungen für "MK10 Plated Wear Resistant Nozzle for PTFE lined hotend"